Synthetic peptide corresponding to Human KIF5A + KIF5B + KIF5C (C terminal). 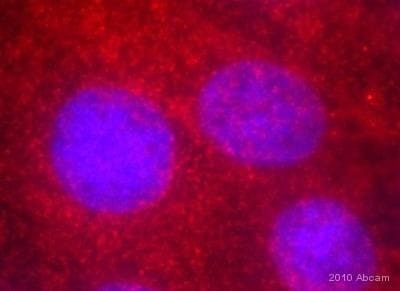 K562 whole cell lysate (ab7911) can be used as a positive control in WB. Our Abpromise guarantee covers the use of ab62104 in the following tested applications. WB Use a concentration of 0.5 - 1 µg/ml. Detects a band of approximately 116 kDa (predicted molecular weight: 110 kDa). The kinesin superfamily proteins (KIFs) are microtubule-dependent motors that slide along microtubules and transport cellular organelles and mRNA to different parts of the cell. In neurons, KIF5 performs this role in an anterograde fashion from the neuronal cell body to axonal or dendritic terminals. KIF5 was initially differentiated from the ubiquitously expressed kinesin as being highly enriched in subsets of neurons and selectively concentrated in the cell body. KIF5 has at least three known isoforms; this antibody recognizes all three. Mutations in one of the isoforms of KIF5 (KIF5A) are thought to be involved in hereditary spastic paraplegias. 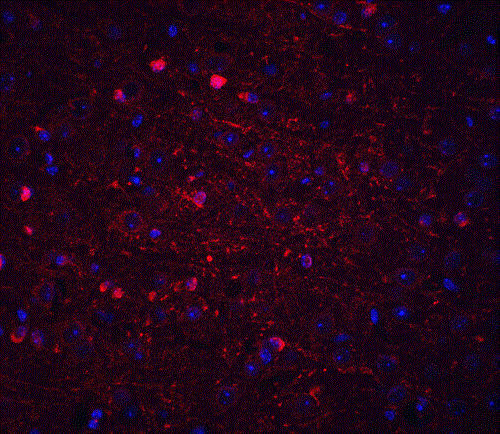 Immunohistochemistry (Formalin-fixed paraffin embedded sections) of mouse brain tissue labeling KIF5A + KIF5B + KIF5C with Anti-KIF5A + KIF5B + KIF5C antibody (ab62104) at 5μg/ml. 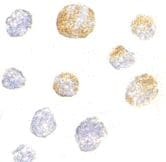 ab62104 at 5 µg/ml staining KIF5A + KIF5B + KIF5C in human K562 cells by Immunocytochemistry. 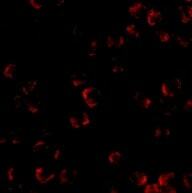 Immunofluorescence of KIF5 in K562 cells using ab62104 at 20 ug/ml. 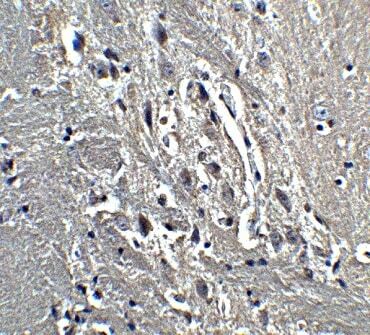 I have a techinical question about Ab Anti kinesin A+B+C (ab62104) antibody. the use of Non-reduced Denaturing (4-20% Tris-Glycine Gel) gel. However, in the datasheet, no problem are reported regarding the use of the Ab in reducing conditions. (or other reducers) in the sample buffer or gel composition is difeerent from the normal one? or, normally, the use of the antibody is guaranteed in reducing condition? We publish all the data we receive in Abreviews from customers, in same way they submit to us. 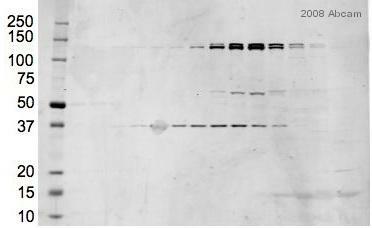 Customer have used non reducing conditions however we have tested this antibody under reducing/ denaturing conditions so this antibody is fully guaranteed for reducing/ denaturing conditions. In case there is nothing indicated on the Abcam datasheets you can imagine conditions are reducing and denaturing. We always specifically mention on datasheet if we test products in non reducing, non denaturing conditions.